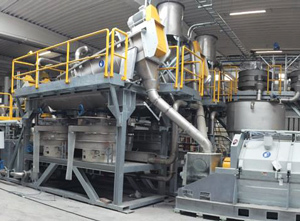 Plastics profile manufacturer Deceuninck (Hooglede-Gits / Belgium; www.deceuninck.com) said it has installed a new recycling facility at its recycling and compounding site in Diksmuide / Belgium, enabling the company to quadruple its recycling capacity to 45,000 t/y of PVC. The new facility can recycle PVC window profiles of all colours and compositions, including glass fibre. Its input material will come not only from post-industrial waste collection but also from PVC windows produced 30-40 years ago that are now gradually being replaced. The company said its recycling facility will save more than 2m windows from landfill or incineration each year. Meanwhile, Deceunincks German unit Inoutic (Bogen; www.inoutic.com), a window profiles manufacturer, will be taking its parent company's name, combining the two product brands "Inoutic" and "Deceuninck" under the latter. The rebranding process in the 16 Central and Eastern European countries where Inoutic is present is expected to end in 2020.